AUCKLAND, New Zealand - The race for the title in the National Youth League is going right down to the wire with four teams still in the running as the competition enters its final weekend. Defending champions Auckland City FC remain top of the table but only on goal difference over crosstown rivals Waitakere United while Southern United and Eastern Suburbs are both just a point behind. City could have put themselves further into the box seat over the weekend but were held to a 2-2 draw by Team Wellington, who played the entire second half with only ten men after William Forrest was sent off just before half-time. Maro Bonsu-Maro and Josh Jones both found the net for the Junior Navy Blues while Lukas Halikias and Jesse Randall replied for fifth-placed Wellington, whose titles hopes are now gone. Waitakere’s are still very much alive after they capitalised on Auckland’s slip-up by putting three unanswered goals past Canterbury United, Troy Christophers, Ryan Verney and Clarke Foulds all getting on the scoresheet. Southern also stayed in the hunt with a comfortable victory, accounting for Hawke’s Bay United 4-1. Nick Treadwell, Blake Weston, Adam Hewson and Oliver Colloty were all on target while Luke Palfreyman provided the Bay’s only response. Eastern Suburbs had to work much harder to secure their three points in a thrilling encounter against Tasman United, which finally resulted in a 5-4 win to the Aucklanders. Matthew Garbett and Arzan Todywalla both struck twice for Suburbs while Malcolm Young rounded out their scoring. Thang Thang Vanuk, Alec Fox, Lachlan Brooks and Cristian Benitez Cuero all hit back for Tasman but it wasn’t enough to earn them a first win of the campaign. In the only match not involving any of the title contenders, Hamilton Wanderers went on the goal rampage against Wellington Phoenix to claim a 6-1 victory. Josh Clarkin notched a double while Aaron Bayliss, Owen Comber, Bayley Foster and Jack Marden also got in on the act for Wanderers. The Phoenix could only muster one reply late on through Henry Hamilton. All four sides involved in the title chase will be targeting maximum points this weekend and will also be looking to win by the highest margin possible as goal difference could prove crucial. Tasman United currently sit bottom of the table without a win this season and have only managed three draws and five defeats. 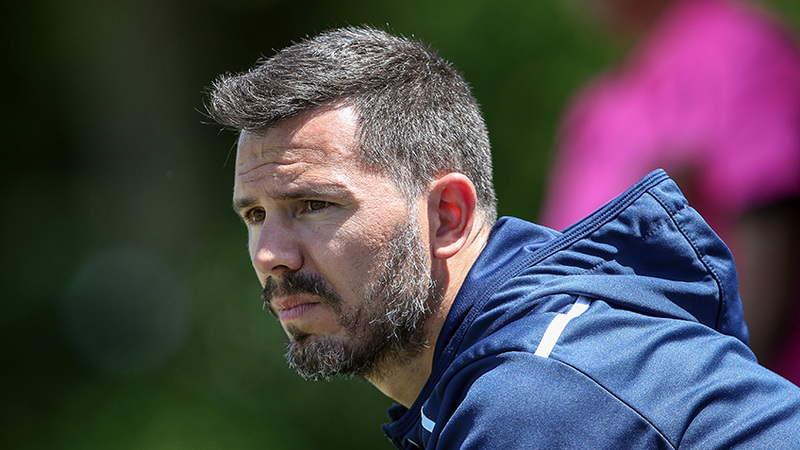 Auckland City FC have the pressure of knowing Waitakere United play 24 hours later at home to Hamilton Wanderers with an exact target to reach to pip the Junior Navy Blues to the title, providing of course Camilo Speranza's team pick up a win in Nelson. Hamilton Wanderers could be a tough nut to crack and have put together three wins and a draw with four defeats. Waitakere United don't play until Sunday, so there is some comfort in understanding precisely what their task will be ahead of kick-off. Southern United have got themselves into a title-winning position albeit a remote one. They face an all-South Island derby with Canterbury United and have to rack up a big win and hope both Tasman United and Hamilton Wanderers can both win or draw with the top two. There's no pressure on Eastern Suburbs who are expected to comfortably beat Hawke's Bay United in Napier. The Lilywhites have leaked goals regularly and at strange times in this campaign to teams they'd be expected to beat comfortably. They must win and win big and hope Southern United, Waitakere United and Auckland City FC all stumble in the run-in.